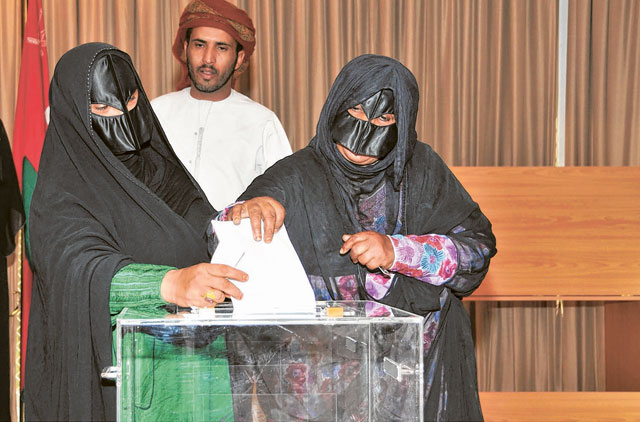 Muscat: The first phase of elections to Oman's Majlis Shura began on Saturday with encouraging response from citizens living in GCC countries, especially at the embassy in Abu Dhabi where a large number of citizens queued up since early morning to exercise their franchise. Oman's ambassador to the UAE, Shaikh Mohammad Bin Abdullah Al Qatabi, along with the staff at the mission, also cast their votes. 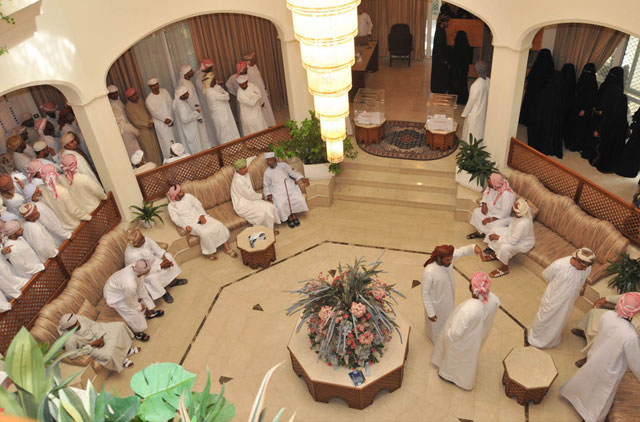 Shaikh Mohammad told official Oman News Agency that the overwhelming response reflected the awareness among Omani citizens about the importance of the role assigned to the Shura in the Sultanate. In Dubai, a large number of Omani students, most studying in the northern emirates, turned up at the Consulate to cast their votes. In Doha, Mohammad Bin Nasser Al Wahaibi, ambassador to Qatar, said that 1,000 citizens had already voted and more were likely to cast theirs vote by evening 6pm. Meanwhile, Mohammed Bin Sultan Al Busaidi, Undersecretary at the Interior Ministry and Chairman of the Election Commission, expressed satisfaction at the manner in which the voting went on untill afternoon at the various embassies in the GCC states. "The voting process has been without any obstacles," he told reporters. "The process of voting that took place today (Saturday), will hopefully give an idea about any problems that may occur and how to solve them," he pointed out. He further said that the election commission would be able to iron out any hitches that may come up after Saturday's experience before the general election on October 15. In reply to a question, he agreed that the reluctance on part of some citizens to register their Identity Cards for voting process at a police station or with mobile units had shown less than expected number of eligible voters registering. However, he added, this time we have 518,000 registered voters, much more than 300,000 that registered for the last Shura elections in 2007. He revealed that the results would be announced the same day of the electronic voting. The Undersecretary said that the results would be ratified only after ten days of the announcement of the preliminary results. "We are giving ten days for any objections that may be raised after the results," he added. He also revealed that the Election Day October 15 will be the official holiday.